Casino magnate Sheldon Adelson is suing the National Jewish Democratic Council for defamation, the Jewish group announced Wednesday. 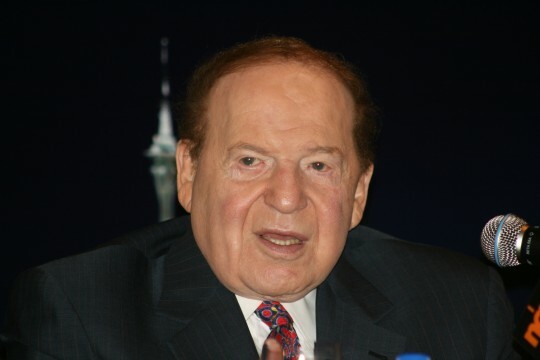 Lawyers for Adelson, the casino magnate and major Republican donor, had sent a warning letter to the NJDC and to the Democratic Congressional Campaign Committee last week after each body publicly stated that Adelson had approved of prostitution at his properties in Macau, China. That allegation appeared in a lawsuit file by a former Adelson employee, Steven Jacobs, who had managed Adelson's Macua business until being fired in 2010. The DCCC apologized last week for referencing the allegation in press releases sent June 22 and July 2 that called on Republicans not to take Adelson's money. But NJDC has refused to excise the allegation from an online petition calling on Republicans to stop accepting money from Adelson. We will not be bullied into submission, and we will not be silenced by power. This is not Putin’s Russia, and in America, political speech regarding one of the most well-known public figures in our country is a fundamental right. One would think the person making greatest use of the Citizens United ruling would understand this. To be sure, referencing mainstream press accounts examining the conduct of a public figure and his business ventures—as we did—is wholly appropriate. Indeed, it is both an American and a Jewish obligation to ask hard questions of powerful individuals like Mr. Adelson, just as it is incumbent upon us to praise his wonderful philanthropic endeavors. This entry was posted in Politics and tagged Jewish Community, Sheldon Adelson. Bookmark the permalink.